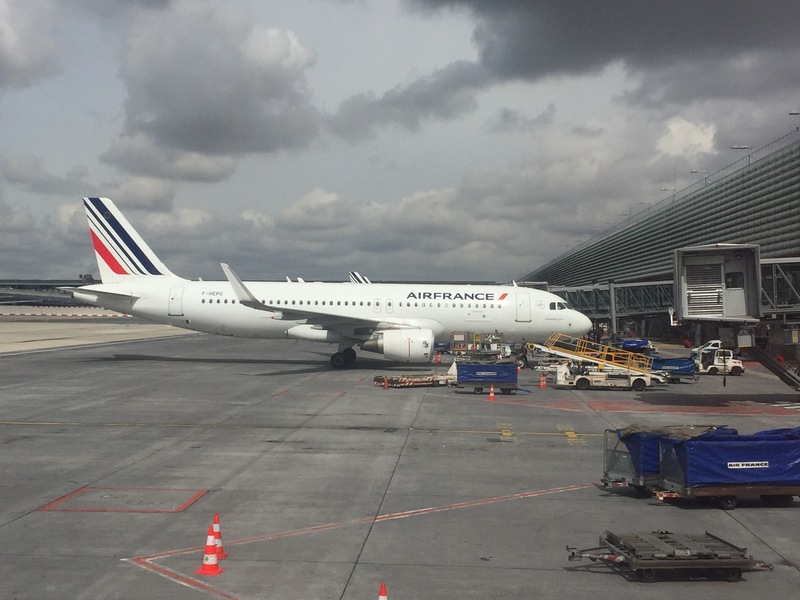 Air France A320 Business Class Intra Europe Review | No Mas Coach! 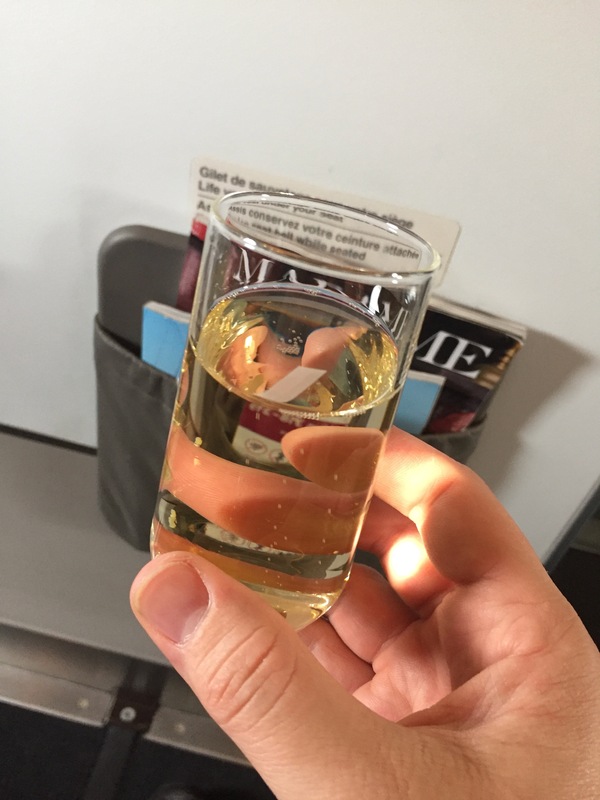 If there’s one thing that European airlines are NOT known for, it’s having exceptional business class service on their intra-europe short haul flights. Most times the seats are the same as economy with just the middle seat blocked off for extra comfort. 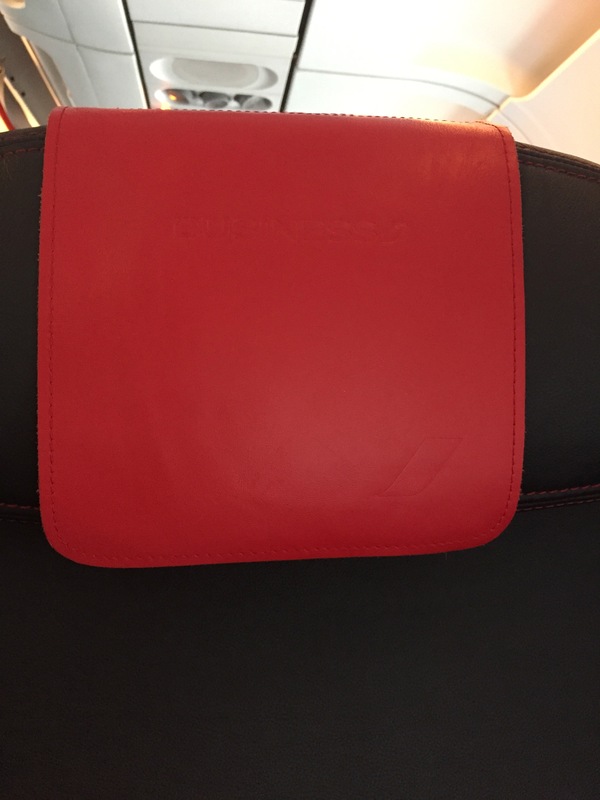 The Air France A320 Business Class is not the exception and is in fact the rule, but what they lacked for in comfortable seats they made up for with impeccable service and amenities. This was part of an amazing deal where we flew round trip from Seattle to Casablanca and back for only $1,000 in business class. We found out how to do it by attending the Frequent Traveler University last year and picking up some tips from other travel hackers and frequent fliers in the area. If you haven’t attended yet, you’re missing out. The next one is in Chicago in November. You can get your tickets here with a discount code FTUEARLY, courtesy of No Mas Coach! Even though the flight that was took was from Paris CDG to Casablanca, it was still operated by the Intra Europe configuration of the A320. As the flight was under three hours, it made perfect sense to use that type of plane. 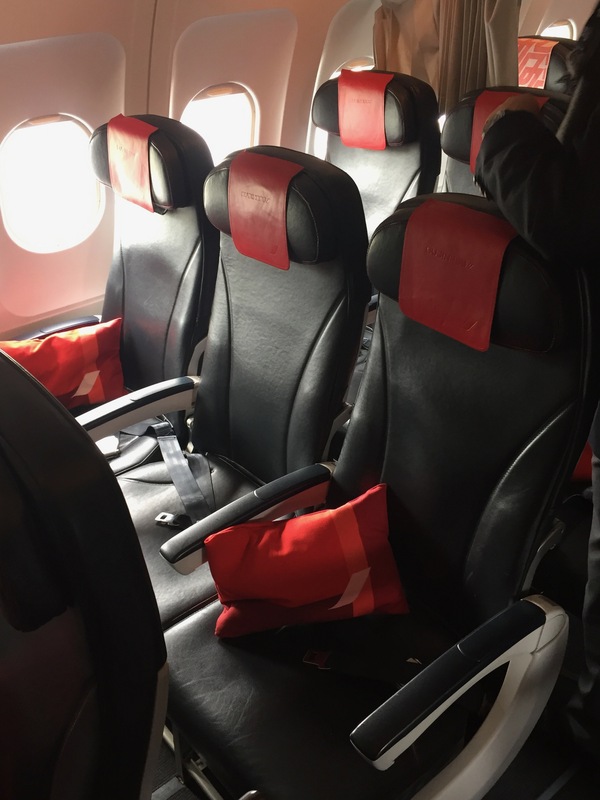 As we mentioned in the beginning, the planes are set up with regular economy seats with the middle seat blocked off so you’re not sitting next to anyone. At least this gives you a little bit extra room, especially for your hips and elbows! 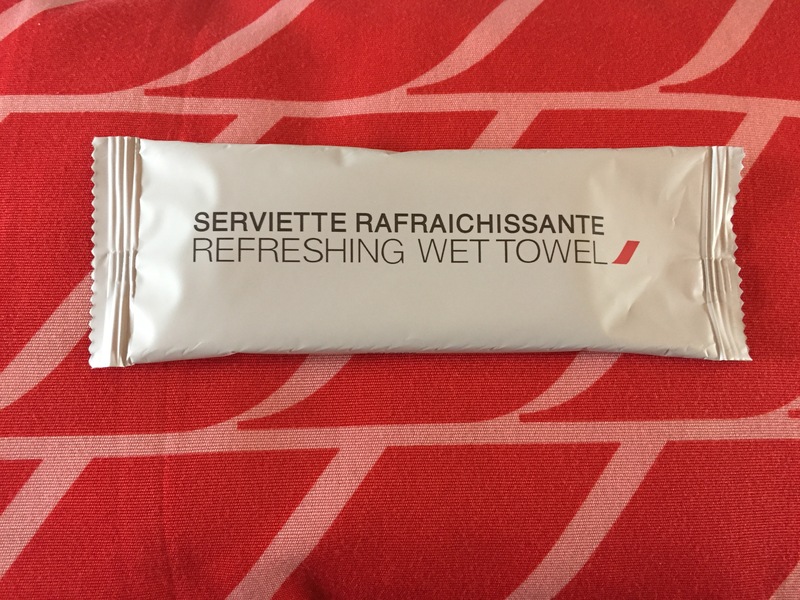 Once the flight went airborne, they distributed refreshing towels. Even though they weren’t “hot” towels, they were really refreshing and very thick, proper, cotton towels. And Ben opted for something yellow with rice and beans. Honestly I don’t remember what it was, but he said it tasted great. Do you notice any differences?! How about anything interesting? Ben’s dish came with a little chocolate piece on top of his dessert whereas mine did not. My bowl for the dessert has a chip in it (ugh) and also, they ASSUME that you’re going to want to drink wine, as all the silverware comes in a wine glass. How very French! And for dessert? 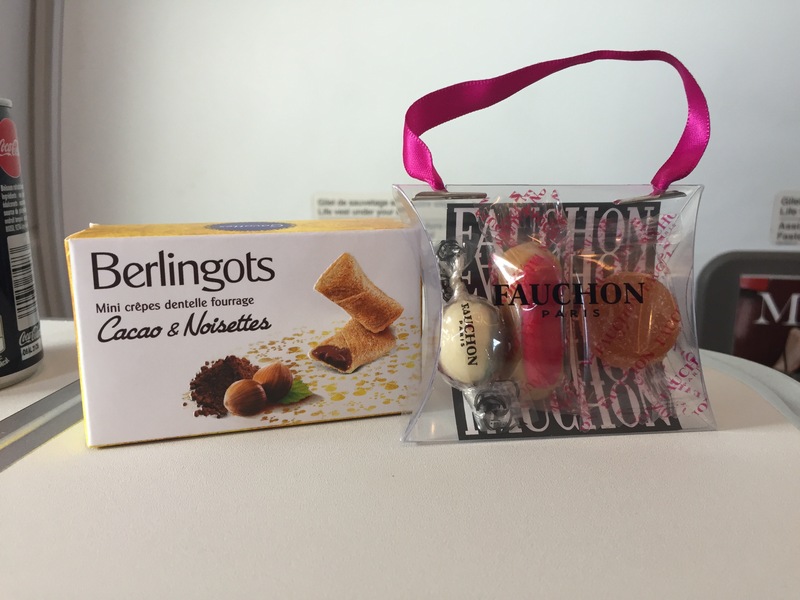 Some tiny French sweets courtesy of Fauchon in Paris. The flight was great! It was a short hop over to Morocco, and after we had our meal we were granted an awesome view out the window. Flying over Spain and Gibraltar into Morocco was gorgeous as the coastline was pristine. As much as I’d love for the European airlines to offer something similar to a US style seat configuration, I know why they do it. They’re able to multi purpose the planes to get more seats for leisure routes and still offer business class travelers an option if they need it. 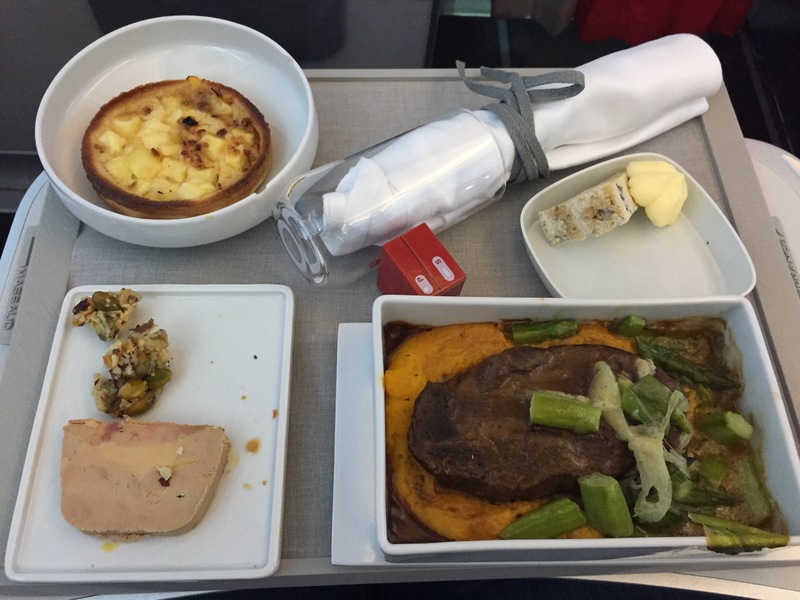 Air France didn’t lack one bit in the meals or the attention that we received. British Airways offers a fully flat bed on a select few routes, but for now that’s one of the only ones I know of. You can read our review of that product here. 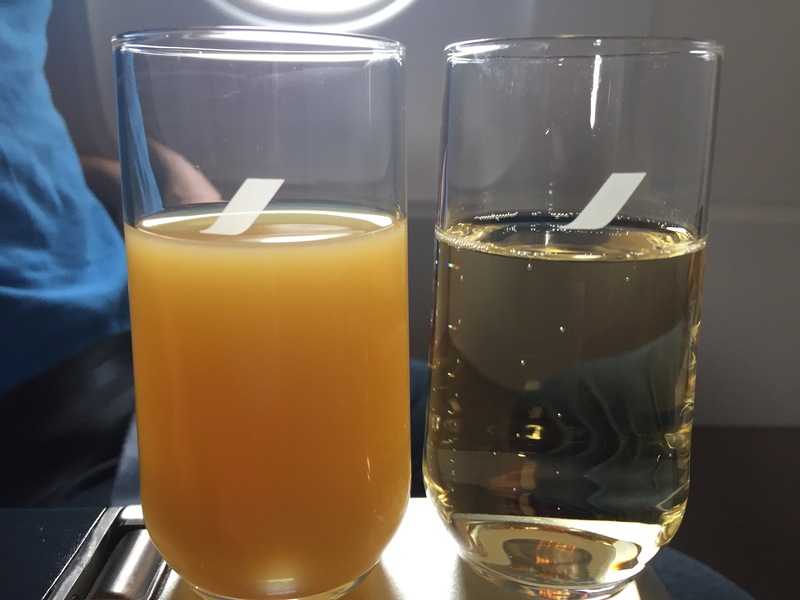 Has anyone had similar experience in Intra Europe Business Class before? Let us know below! 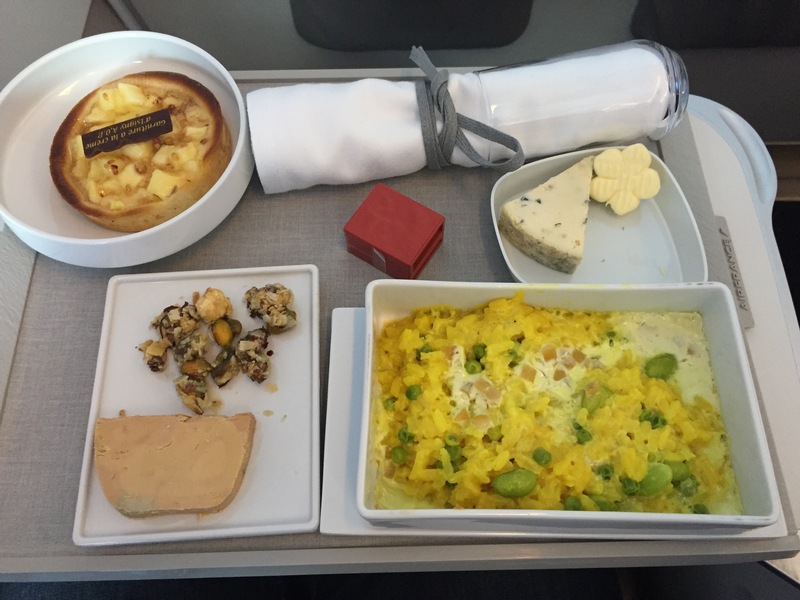 We flew business class from Paris to Istanbul last November, and it was a lovely experience. There were only 4 of us in the entire business section. The crew was exceptional. The food was quite good. They offered liqueurs I’d never see/tasted before, as well as boxes of delightful Laduree sweets. I couldn’t agree more. We experience some of the awesome liqueurs as well!